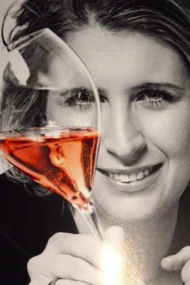 Top Chef winner and Michelin-starred chef Stéphanie Le Quellec was a MOF candidate in 2005 and this year as well; she was one of two women finalists. 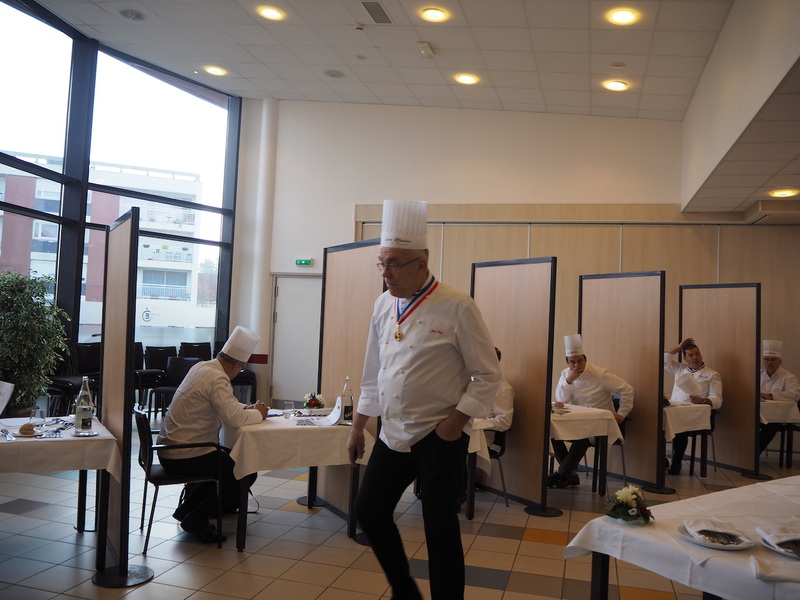 On November 22, 2018, I had the chance to watch — up close and personal — the Meilleurs Ouvriers de France competition in cuisine-gastronomie, held in Le Touquet, France. 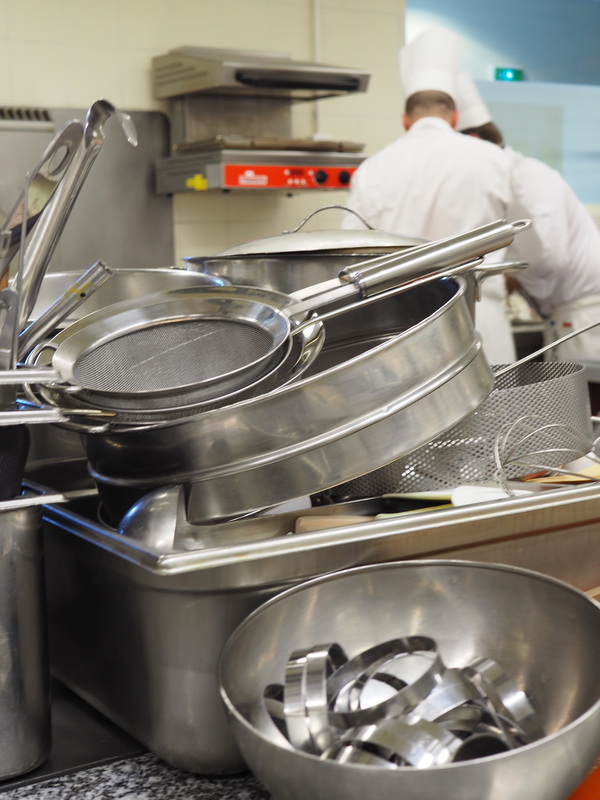 The cooking competition is just one of dozens of MOF competitions held once every three or four years, in trades as varied as taxidermy, graphic design and woodworking. 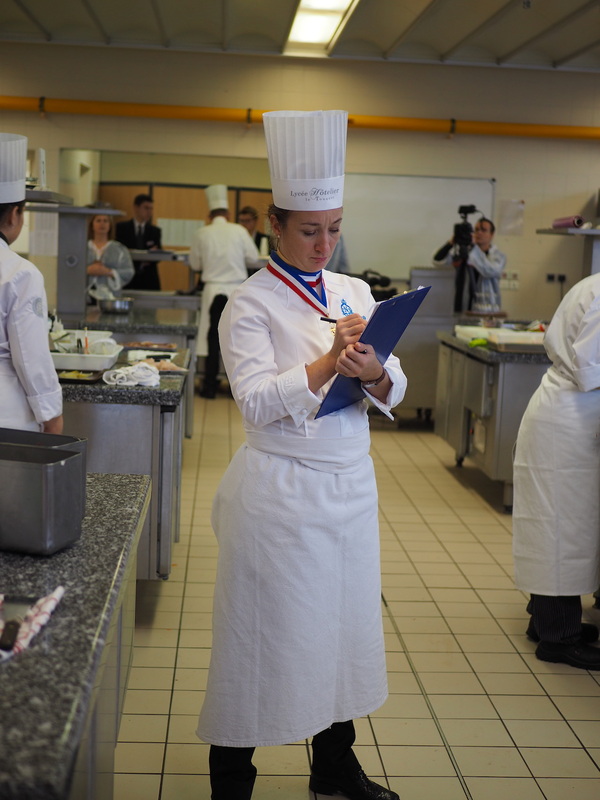 However, the culinary competitions are the most famous (actually, though often called “competitions” in English, the MOF concours are closer to exams, as there is a passing grade, and anyone who passes gets a diploma issued by the National Education Ministry; there is no first, second or third prize). Those who earn the sought-after title and the blue-white-and-red collar that goes with it may see financial rewards, in high-profile positions and more customers. 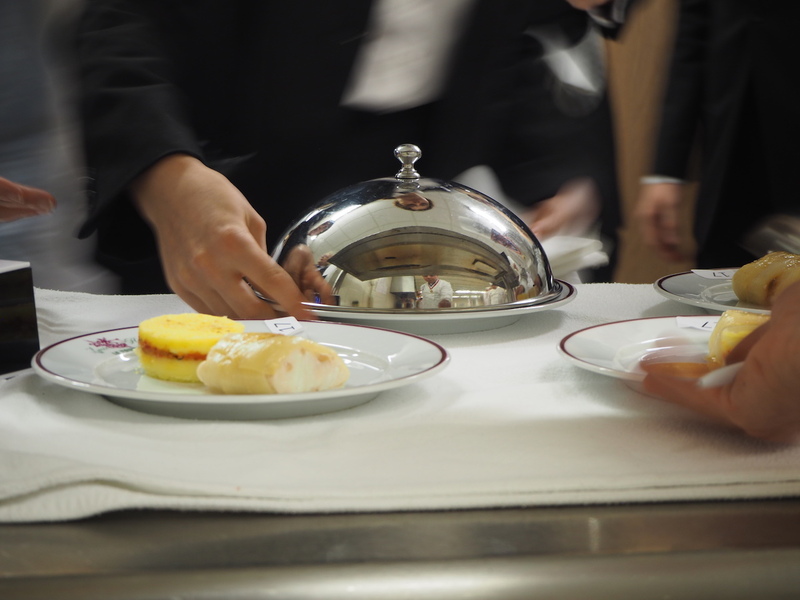 However, the contest becomes a personal obsession for some chefs, with many attempting it multiple times. 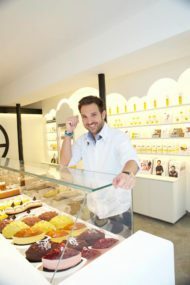 The former president of the MOF pastry classe, Philippe Urraca, tried five times before he was finally successful. 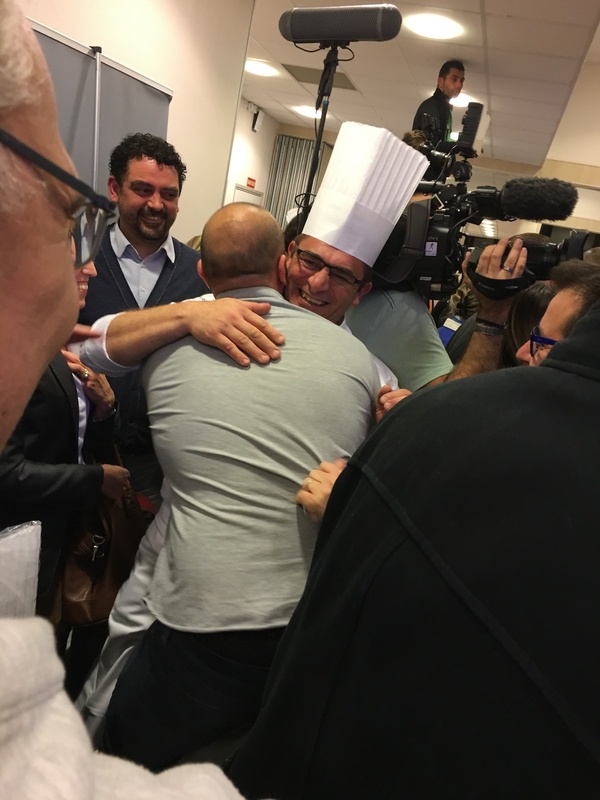 And yes, it does literally bring chefs to tears — of joy if they are successful, and of frustration if not. 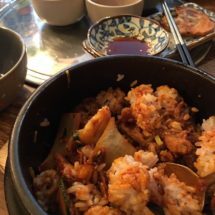 Here is my piece for Eater about the competition. 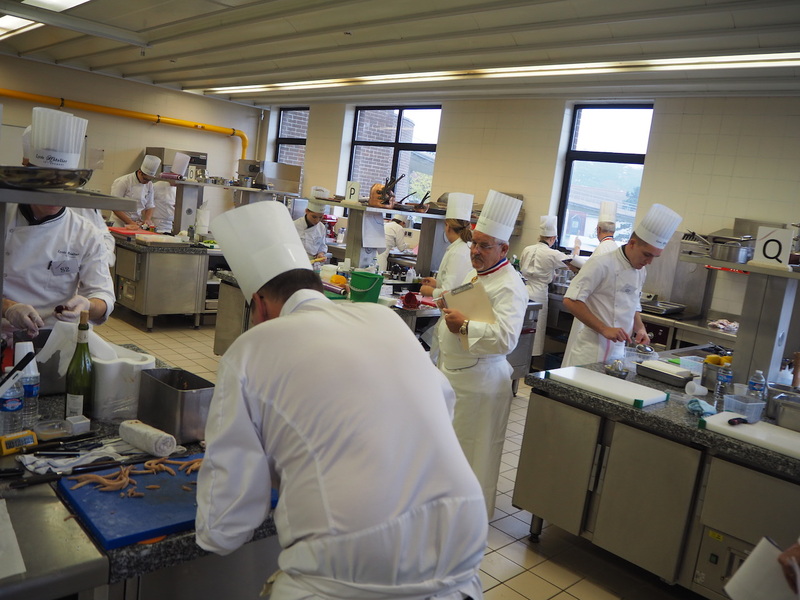 And below are some captioned photos I took while in the laboratoires at the Lycée Hotelier du Touquet, where the MOF Cuisine concours was held. In one of three laboratoires. 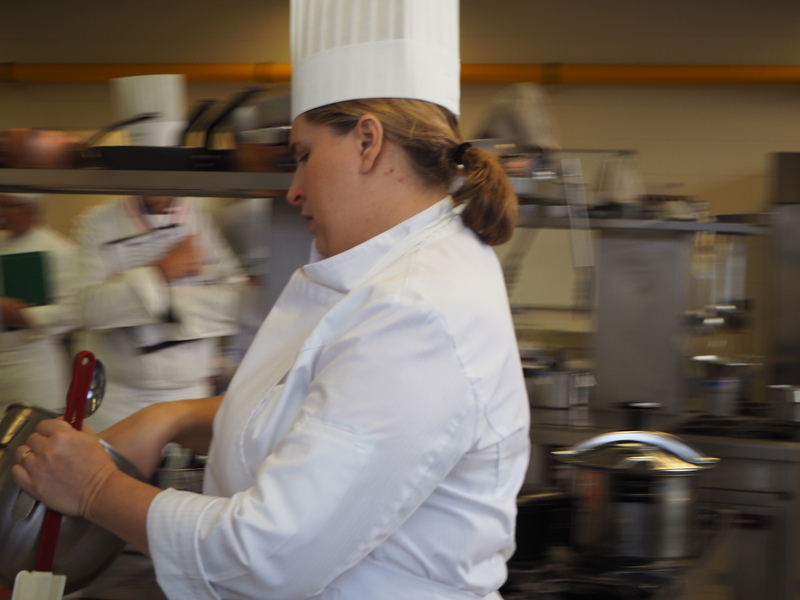 One of the MOF judges, Virginie Basselot, is one of only two women chefs who have earned the title. 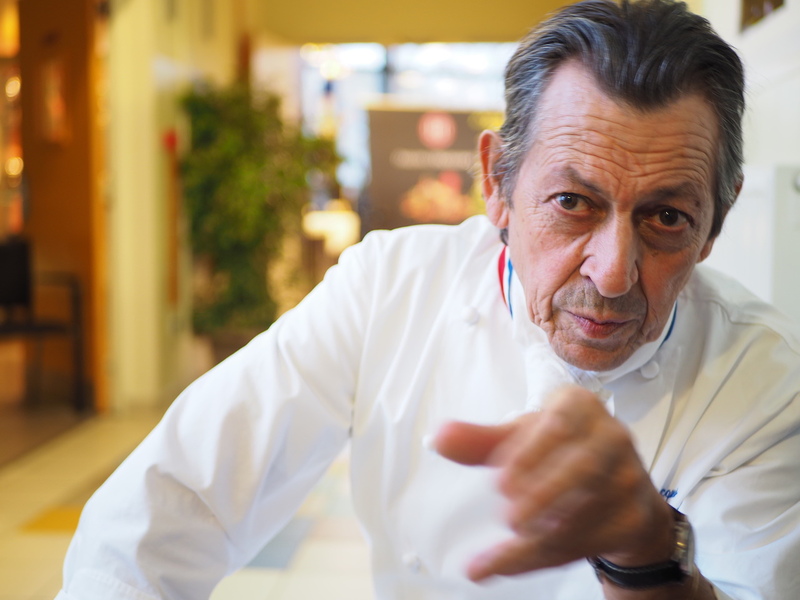 Jacques Maximin, a member of the MOF Cusine finals jury, who devises the diabolically technical culinary tests. The MOF degustation jury awaiting the arrival of the first lievre. 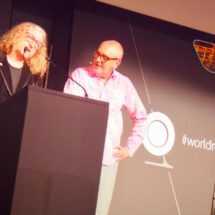 Delivery of the first dish to the tasting jury. One of the winners, among seven: Renaud Augier, Stéphane Collet, Arnaud Faye, Fabrice Gendrier, Franck Putelat, Julien Roucheteau and Frédéric Simonin.